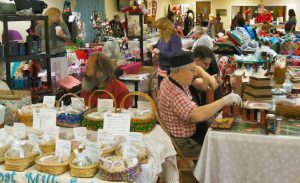 FULTON – The First United Methodist Church of Fulton will host its annual Holiday Arts and Crafts Fair on November 25 from 10 a.m. until 3 p.m. as part of “Small Business Saturday” in America. 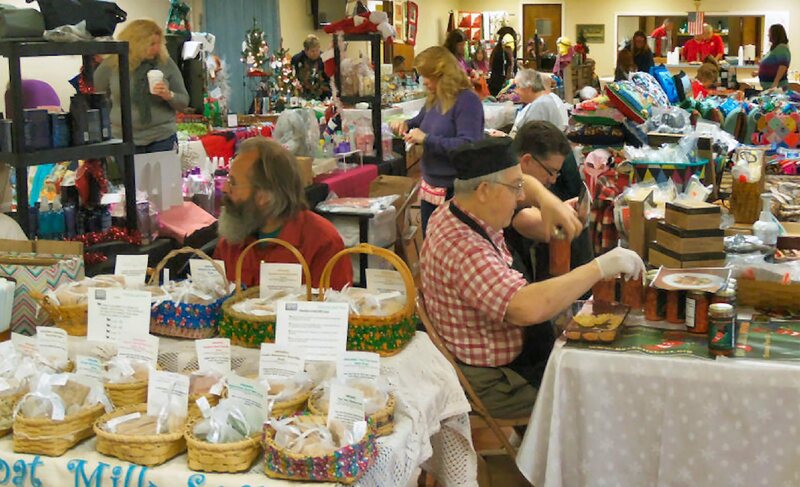 Participants enjoy a previous craft fair. The fair will feature local craftspeople, artists, writers, painters, and vendors from around Central New York. The craft fair is designed to kick off the holiday shopping season and will feature all sorts of one-of-a-kind items available for purchase. Snacks and a luncheon menu will be available for visitors wishing to purchase food at the event. This event is free of charge and open to everyone. The First United Methodist Church of Fulton is located at 1408 State Route 176 in Fulton, just across from the junior high school, and is wheelchair accessible. For more information, please visit www.fultonfirst.org or call the church office at 315-592-7347.